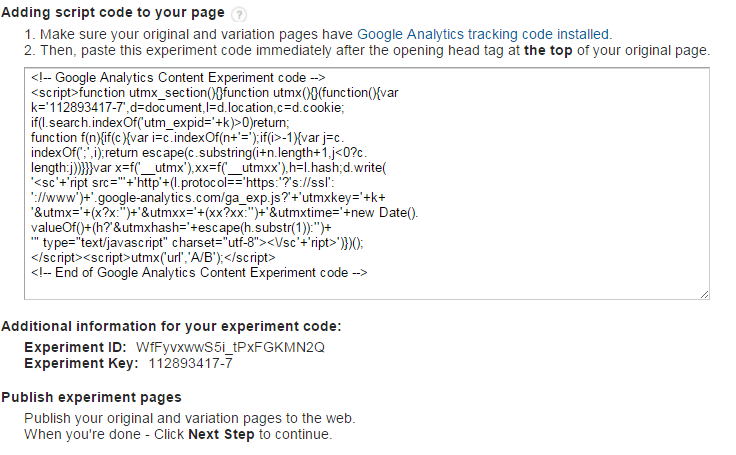 Google Analytics AB Testing in 15 Easy Steps. For landing pages optimization, an A/B test is essential. One of the easiest and most cost effective ways is split testing with Google Analytics A/B testing features. The allows you to use the existing set of data and users behavior to create landing page experiments. It may be important to conduct experiments on your images, languages, call to action, content or a color swap. 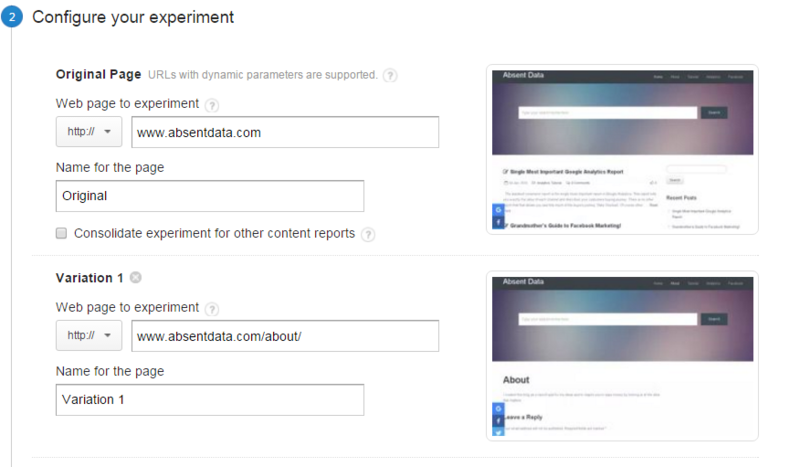 You can perform Google Analytics A/B testing with ease. Follow these easy to follow steps. Part I: Defining your Test. Objective: What is the purpose of your test? For any test or scientific experiment, you must clearly define what you are testing. For this example, our objective is to improve the conversion rate of a particular page. Typically, it’s important to have a control and hypothesis. In this experiment , we will test two versions of a single web page with different button colors. The objective is to increase page views. 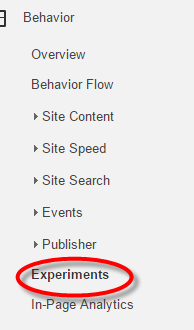 My hypothesis: Green buttons will improve click through rates and page views. Define the metric of the experiment by altering the options. Define the amount the traffic you will send to the page. 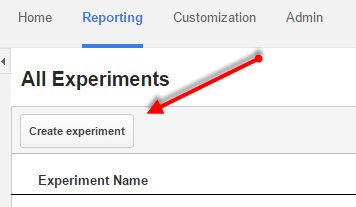 This is the content experiment which will allow you to set the experiment. Important Note: This a high profit page that you are trying to improve. Consider limiting the amount of traffic. Altering the traffic could have a significant effects on revenue. Duration– You can set the time you want the experiment to run. Distribution– If you are running more than one variation, it will be important to distribute the traffic evenly across all variations. Confidence– You can improve the confidence of the experiment by increasing the threshold to 99%. However, this will increase the duration of the experiment. Add the original content URL and the variation URL(s). Install this code on the original and variation pages. Check the experiment for the results.